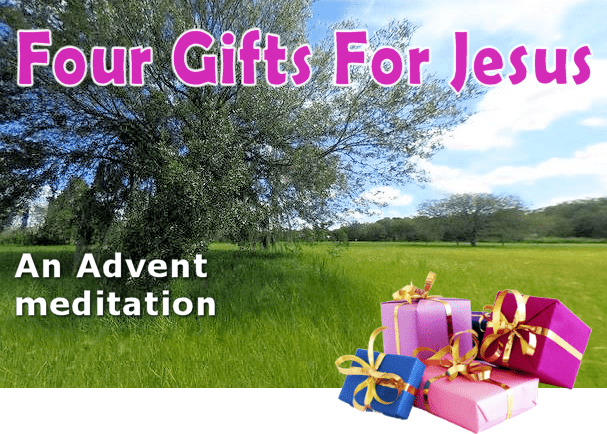 There are four gifts that you can give to Jesus this Christmas: your humility, your teachability, your desire to be holy with openness to his Holy Spirit, and your desire to continue the mission that he began by using your gifts, talents, skills, and passions. Here are four short podcasts to use as a meditation during Advent (or any time of year when you want to give gifts to Jesus). When we prepare for Christmas, of course we think about how to show fondness and appreciation to the special people in our lives by choosing gifts that will be meaningful to them. And yet, assuming that we can actually find (or make) something that will be appreciated, will the gift really make a difference in the long run? How many gifts have you given in the past that are now mere dust-collectors? Which ones turned out to be truly valuable with a long-lasting impact? Since Christmas is the celebration of the birthday of Jesus, let’s remember to give him gifts, too. God deserves more gifts than anyone else, but what can we give to someone who already has everything? What gifts can you give to Jesus that will have an eternal impact, gifts that no one else can give him, gifts he doesn’t already have?